at the low price of $49.95 at Harris Communications. use, simply place your cell phone on the LightOn cradle in vibrate mode. no sound, it won’t disturb a sleeping infant or co-workers. in the making, but he succeeded. Battle, Knoxville, Tennessee who departed us. in case of fire emergencies. for interpreters throughout his four years. that steps on the bus. have physician appointments for these same reasons. on November 21st. Everyone agrees that we, the deaf and the disabled, are entitled to rights and needs – but no one agrees on how this piece of treaty should be worded! CapTel shows word-for-word captions of everything a caller says over the phone, letting you read everything that they say. and DeafDigest editor cannot say no. car, stopped, used his speaker to say something. aware that he is deaf. arms slowly to his ear to tell the cop that he is deaf. The cop took the hint, waved his hands and drove away. The important thing is – do not panic! Russia, Portugal, Brazil, etc, etc. as an offering to its students. last university in the state to offer such courses. Scott Smith is a deaf physician in the Rochester, NY area. whistle from the loose earmold! We specialize in remodeling bath and kitchen of your dream throughout metro Washington, DC area. no fault of the deaf agency. chief of the Minnesota Bureau of the Deaf in 1915.
the President and from the Governor. resignation, effective at end of this week. of the Deaf, stayed on the job for only 3 1/2 months. that took place recently at Qatar. sees eye to eye on what should be in the regs! The Department of Business invites applications for a tenure-track faculty position in its undergraduate business administration program. Gallaudet University serves deaf and hard of hearing students from many different backgrounds and seeks to develop a workforce that reflects the diversity of its student body. 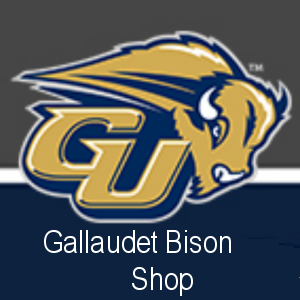 Gallaudet is an equal employment opportunity/affirmative action employer and actively encourages deaf, hard of hearing, members of traditionally underrepresented groups, people with disabilities, women, and veterans to apply for open positions. – Record of publication, survey, research, consulting and other activities demonstrating the use of financial analysis for business and/or government decision-making purposes highly desirable. Teach undergraduate business administration core courses, with an emphasis on accounting, (especially Financial Accounting, Non-profit Accounting, and Auditing) and quantitative business courses. Serve as advisor and mentor to undergraduate business majors. Conduct research, individually and/or collaboratively with other members of the academic community. Fulfill program, department and university service assignments. Perform other duties as assigned by the chairperson of the Department of Business. Salary and Rank: Instructor or Assistant Professor Position. Rank and salary are commensurate with experience and qualifications. Appointment will be for the regular nine-month academic year. Application Deadline and Procedures: Review of applications will begin immediately and continue until the position is filled. Employment begins January 15, 2014. Qualifications: Master’s Degree from an accredited college or university in education of deaf and hard of hearing, special education, school administration and supervision, or a related field; Three years successful experience as an administrator of programs for students who are deaf or hard of hearing and/or school administration and supervision; Missouri certification in school administration or special education administration. Prerequisites: Knowledge of effective teaching and learning practices; Knowledge of the development, abilities and unique psychology of students who are deaf or hard of hearing; Knowledge of Missouri’s Learning Standards and Educator Standards; Knowledge of organization and administration in the area of special education; Knowledge of and ability to effectively implement collaborative data teams focused on using formative assessments to guide the use of effective teaching and learning practices; Ability to organize and analyze data as part of a focused strategic planning and implementation process; Ability to organize, supervise, and coordinate the activities of a professional staff; Ability to communicate effectively in writing, American Sign Language-ASL (at the advanced or higher level) and a variety of other modes; Ability to work under supervision as well as to assume leadership responsibilities; Ability to apply effective fiscal and human resource policies and practices. Supervises and provides leadership to MSD staff in the design, development, execution and evaluation of a systemic plan to educate students and accelerate improvement of student outcomes, meet residential responsibilities, and improve outreach outcomes for deaf or hard of hearing students and their families; Administers a program for staff development and educator evaluation consistent with state standards and requirements and aligned to the systemic plan; Recruits and recommends all personnel for employment to the State Board of Education; Coordinates development of the annual operating budget with the Division of Financial and Administrative Services and the Office of Special Education; Coordinates, plans, and directs meetings of MSD.s Board of Advisors; Works and communicates effectively with parents and patrons, including individual parent contacts and groups such as the MSD Parents Organization; Promotes and coordinates public relations programs designed to acquaint the general public with MSD; Follows all policies, rules, and regulations adopted by the Board and makes decisions consistent with Board policies; Assures compliance with all federal and state regulations governing MSD; Coordinates the care and maintenance of buildings and grounds with the Office of Administration, Division of Facilities Management; Performs other duties as assigned. Please attach a scanned copy of your transcripts with the application. You will receive an e-mail confirmation when your application is received online. Equal Opportunity and Affirmative Action Employer: Missouri Department of Elementary and Secondary Education is an Equal Opportunity Employer. If you have special needs addressed by the Americans with Disabilities Act (ADA), please contact Human Resources at (573) 751-9619, through Missouri Relay System at (800) 735-2966, or via email at hr@dese.mo.gov. To Our Applicants with Disabilities: For assistance with any phase of the Department process, please notify the Director of Human Resources at (573) 751-9619. Reasonable attempts will be made to accommodate special needs. 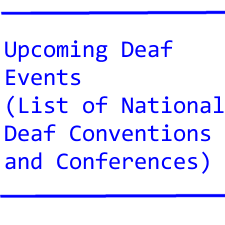 TTY/TDD users: Relay Missouri service (800) 735-2966.
area of American Sign Language. courses in American Sign Language (ASL 1701, 1702, 3703, 3704, and 3705). Other Duties (10%) Participate in internal program/department meetings. Provide external support services/outreach. Other duties as assigned. Levels I, II, and III. Responsible to work under the direction of the Executive Director to expand and enhance community relations and development activities of the organization including but not limited to: grant writing, developing sponsorships, marketing, public relations activities and supporting the agency and board in their efforts to develop unrestricted funds for agency programs and services. 1. Works with Executive Director regarding public and media relations. 5. Ability to work with minimal supervision. All persons are encouraged to apply including Deaf and Hard of Hearing candidates. Applications accepted until position is filled. Position available immediately. cohesive spiraling curriculum that meets the needs of the students. positive learning environment for all students. ACCESS, a statewide program providing behavioral health services to Deaf and hard of hearing people throughout NJ, has the following positions available. JOB SUMMARY: Responsible to provide direct services, case management and linkage to other services/HH adults with mental illness in the community and in the home. 1. Coordinate receipt of entitlements, linkages to medical and non-medical services, provide transportation when necessary. 2. Complete all documentation requirements, including development of a comprehensive care plan and progress notes. 3. Teach independent living skills, recreational/leisure skills, oversee medications coordinate medical appointments. 4. Use appropriate therapeutic approaches to engage and motivate clients. 5. Identify potential crisis situations and use appropriate crisis intervention skills to diffuse situations and/or coordinate care. 6. Perform outreach services to absent and/or missing clients. 7. Educate and advocate for clients. Qualifications: Caseworker – Bachelor’s degree in Social Work, Counseling or related field. Residential Counselor – BA/BS Social Work/Counseling/MH/Health discipline OR 1 or more years college PLUS related work or life experience OR h.s. diploma PLUS 4 years of related work exp. Valid NJ drivers license, first aid/CPR certification. Team-oriented, ASL fluency, written communication skills, organizational and problem-solving skills are required. This position is a 12 month position with vacation hours accrued monthly. school and state policies, state education code, and federal legislation. practice drills and in the event of disaster. This entry was tagged deafdigest blue 8211 november 24 2013 by Robert Rademacher. Bookmark the permalink.